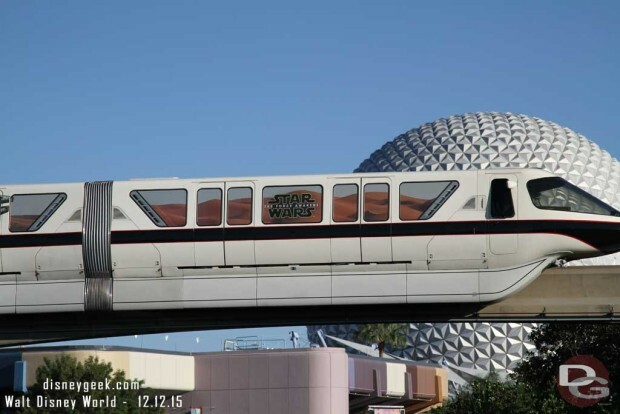 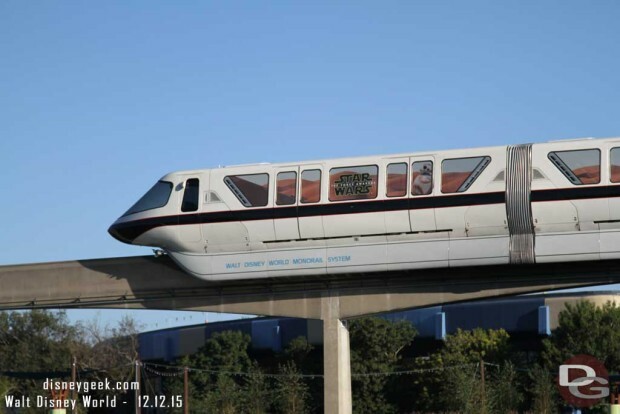 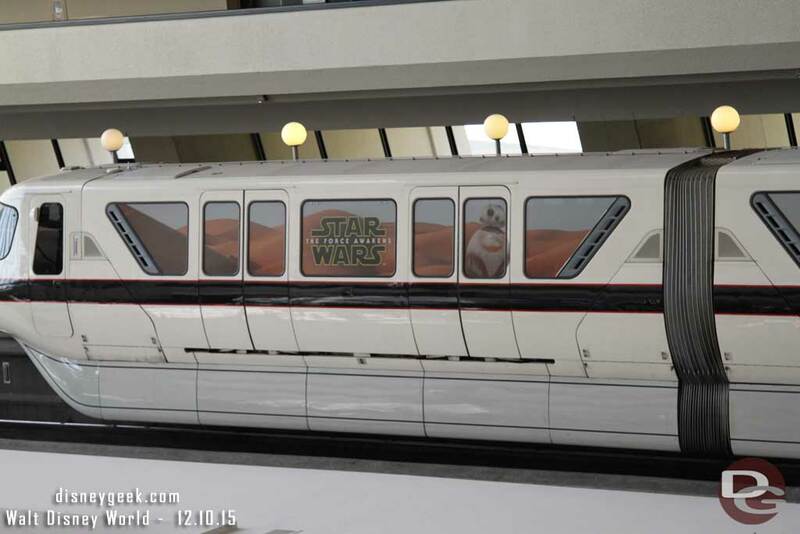 Monorail Black features an overlay on the windows promoting Star Wars: The Force Awakens. 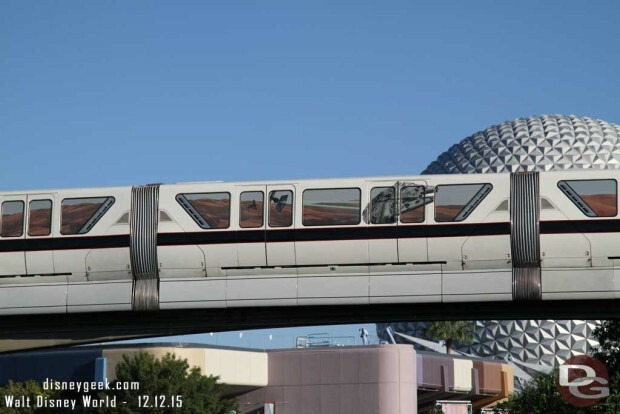 Here are some pictures and video. 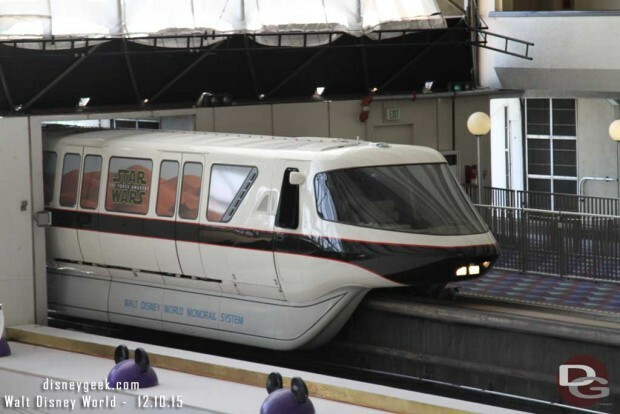 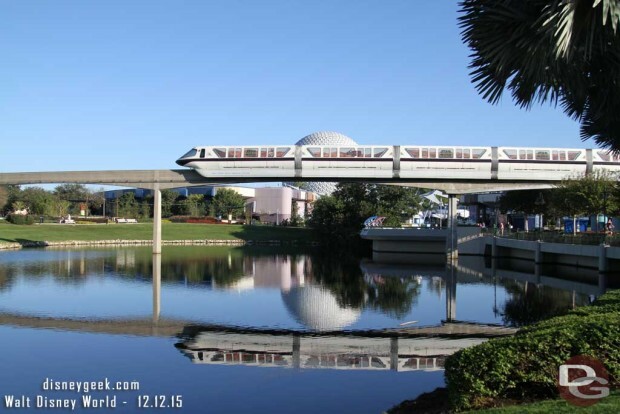 If you would like to see past Monorail wraps and overlays here is a post looking at several over the years.